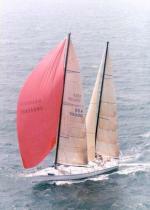 Lorrigray II is an impressive round bilge steel yacht with a large rig, built in South Africa in 1998. She is a Dudley Dix design 65 foot custom cutter and can be viewed on (dixdesigns.com). She was custom designed for the present owners Lorraine and Graham Parkinson. The hull was built in Port Elizaberth and the project managed by the designer Dudley Dix himself and has a Lloyds constructional certificate. The finishing was completed in Johannesburg by a team of carpenters and painters under the supervision of a project manager. Particular attention was paid to the paint systems, with zinc epoxy applied to the hull exterior after blasting and epoxy tar applied to the interior. The hull was faired to a very high standard and took a crew of five people almost twelve months. She was designed as a high specification luxury world cruiser with charter potential, all the systems are duplicated with real redundancy in the main systems. 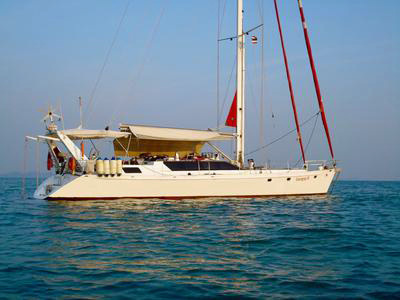 Lorrigray II is ideal for world cruising or charter use. All the sailing systems are power driven and therefore easily handled by a small crew. Lorrigray II has sailed just about round the world, mostly by just two crew members - the owners. The yacht can be sailed from both the internal Nav station or the aft cockpit. 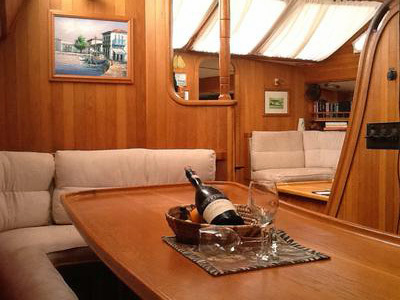 In addition there are two cockpit areas, the aft main steering station (with wheel and winch access), and the central cockpit which is ideal for guests when chartering or as a fully protected area when on a passage. Added last year is a sunbrella canvas dodger/wheel house arrangement that can be sealed in the event of heavy rain - this offers excellent rain and sun protection. In addition, a large awning over the aft cockpit steering area gives complete sun protection when hand steering, very important we think in the tropics. Graham and Lorraine Parkinson have been sailing for over 40 years and on this voyage aboard Lorrigray II for almost 20 yrs. The twin Yanmar diesel engines provide ample power to ensure a good speed in all conditions, the 10 kva genset uses a 3 cylinder Yanmar diesel engine of the same series making spare parts common. Each engine has a second 24 volt Mastervolt alternator fitted to charge the main battery bank. The engine 12v alternator is used to charge the 12v system and the starter battery. The fuel system is designed to be completely independent, two main tanks, two day tanks etc are individual for safety. The internal woodwork is solid American white oak, constructed to a high standard. What makes Lorrigray II special is the volume down below - a separate large galley, a dining area with a large table and seating for eight people and a completely seperate saloon seating also for eight people make this vessel very luxurious. Four double cabins and a bow crew cabin plus a large walk through lazarette complete the internal arrangements. Two air conditioners provide cool air and ample headroom over the bunks give a very comfortable environment for sleeping. A towering 100 foot mast with hydraulic furling mainsail makes shortening sail simple and quick. The large sail plan and plenty of diesel power means you don't have to worry about getting to your destination. The 40 ton displacement can smooth out the motion making a passage comfortable and quick, reducing fatigue on long bumpy passages. The anchoring system is similarly over specified; the windlass is a Lofrans Super ercole with primary CQR anchor 75 kg and a back-up Bruce 50 kg on 12mm chain. 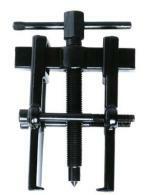 A back up aluminium anchor, never used, completes the system. The winch system was supplied by Andersen and is all hydraulically powered from a Bosch 24v pump system. Push button sailing. The system includes Raymarine E70 with remote controls from both inside and the outside cockpits. 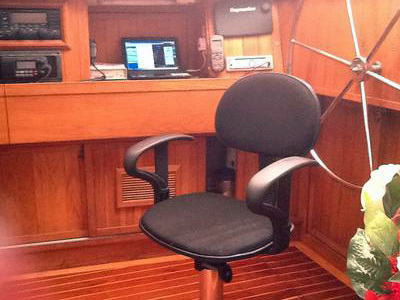 The autopilot system uses a Raymarine core pack driving a Whitlock heavy duty steering pedestal through a gearbox. A second gearbox drive and motor is available should a problem present itself. Also a manual emergency steering helm is stored in the lazarette. The galley contains all modern conviences, and would be the envy of most apartment dwellers - a dish washer, microwave, fridge, freezer, kettle, toasters etc etc. Large work areas and a four burner gas oven. Force 10 four burner oven, Panasonic microwave, Bosch dishwasher and various other electrical devices. In the lazerete we have a 90 litre/hour watermaker running at 60 litre/hour at present. Avon 6 man life raft, overboard recovery system, EPIRB, Dan buoy. two life rings, 4 harnesses. Emergency steering system. Watermaker membranes x 2, 2017. Plus a large collection of spares and tools. Water capacity approx 1800 litres.